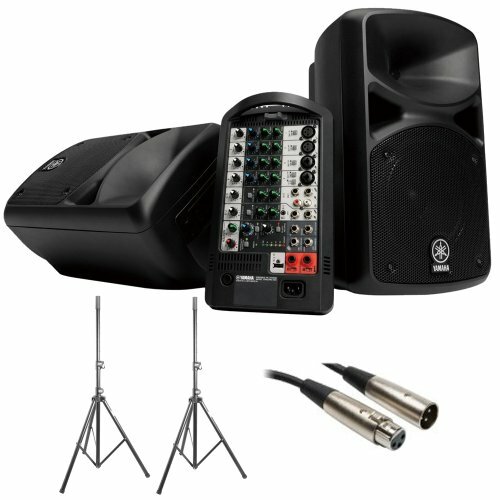 Set up fast without sacrificing sound quality, with the Yamaha StagePas 400i portable PA system! 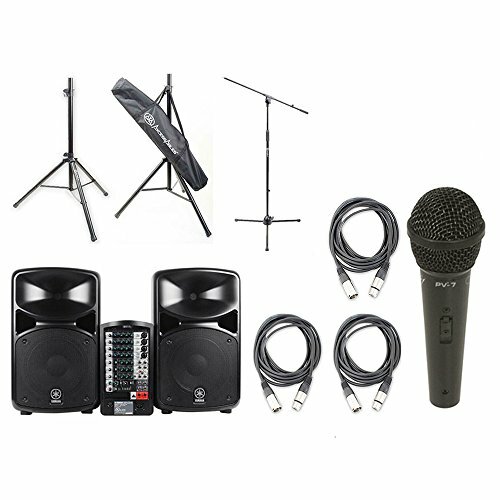 Packing 400 watts of power, you'll have the powerful, clear sound you need to fill small rehearsal spaces, your school's band room, or your church's multipurpose room. And it's easy to get a great sound from the StagePas 400i: it's got built-in feedback suppression to easily eliminate screeching and howling, and the master one-knob EQ makes it effortless to dial in the right sound for any application. For a no-nonsense portable PA that's high on quality, trust the Yamaha StagePas 400i. 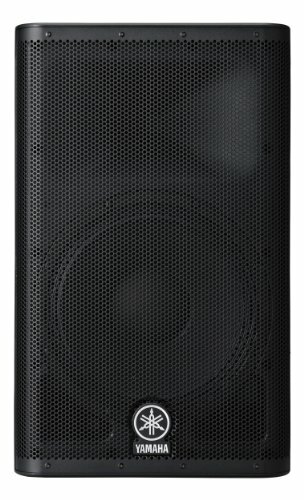 The BR12 is part of Yamaha’s most cost-conscious line of loudspeakers. The BR12 is a trapezoid shaped cabinet with steel corner protectors, a steel grille, oversized steel handle, and a built-in pole socket for easy pole mounting. It uses a specially designed 12" Eminence® woofer that provides a smooth response and high power handling. High frequency driver is a 1" compression type utilizing a titanium diaphragm, mated to a 90x40 degree CD type horn for smooth coverage. The jackplate has two heavy-duty 1/4" jacks to allow “daisy chaining” to another cabinet. The BR12 provides a great balance between small size and full frequency response. Hear yourself clearly onstage! 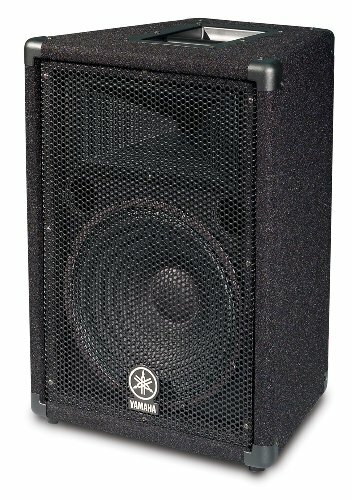 Pair of Yamaha A12M Floor Monitors. The A Series speakers by Yamaha are designed for live P.A. system use. They are 2-way systems featuring bass reflex cab design, heavy grille, recessed handles, and black carpet covering. 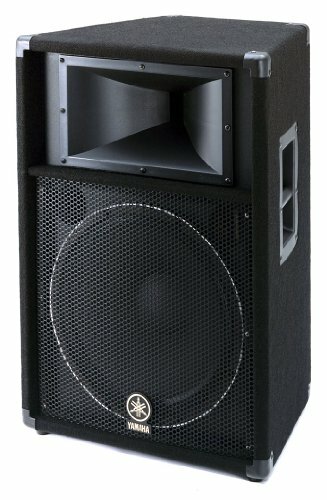 The A12M has a 12" woofer, 1" high-frequency horn, 300W program handling (600W peak), and 125dB SPL. Pump out some seriously pristine sound with Yamaha's DXR12 powered loudspeakers. These 12" loudspeakers are powered by a 700-watt Class D amplifier in a bi-amped design that provides incredible output in an ultra-lightweight design. Whether you're using a pair of DXR12s with a DXS sub as a complete sound system for your band, or just playing solo gigs at the coffee shop plugged into the DXR12's built-in three-channel mixer, you've love the balance of performance and convenience you get. The DXR12 has a ton of innovative technology inside to give you the best possible live sound, but you don't need to understand the tech details - just plug into the Yamaha DXR12 powered loudspeaker and you'll love what you hear. The S115V is a trapezoid design cabinet, with oversize steel handles, steel corner protectors, a steel jackplate with both dual Speakonâ and high current, heavy duty Switchcraft® 1/4" input jacks, and a built-in socket for pole mounting. Its covering is tough black carpet, with a heavy gauge perforated steel grille for driver protection. The woofer, or low frequency driver is a high power design using cast aluminum frame, with a cooling port in the pole piece for extended high power handling. The high frequency driver is a custom, 2" diaphragm (1" exit) design with an exclusive phase plug that reduces harmonic distortion inside the driver itself. This driver is mated to a 90° x 40° constant directivity design to give smooth, even coverage over the pattern of the horn. Both of these drivers are custom made for us by Eminence®. The internal passive crossover has protection circuitry to help guard against damage that may occur from over powering the S115V. This loudspeaker is manufactured in the USA. It is covered by a 3-year warranty. When it comes to live sound, clean power and headroom are hugely important. 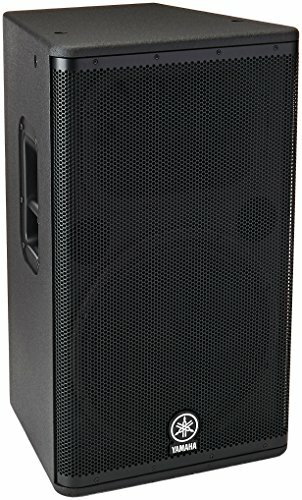 That's why Yamaha made sure to give the awesomely powerful DSR115 active PA speaker plenty of kick... we're talking 1,300 watts! Plus, Yamaha built all kinds of totally cool features into the DSR115 for maximum efficiency: DSP protection, digital crossover, 48-bit sound processing, primo AD/DA converters... let's just say you won't have to worry about getting max performance at big-time volume levels - worry free. The DSR115's 15" LF driver and 2" titanium compression HF driver get 850 and 450 watts, respectively. This killer speaker is a heavyweight performer, but its Class D powerplant makes it surprisingly easy to transport (as do its very convenient deep-pocket side handles). It's road tough, it sounds absolutely fantastic, and it puts out a ton of wattage. Get yours now! 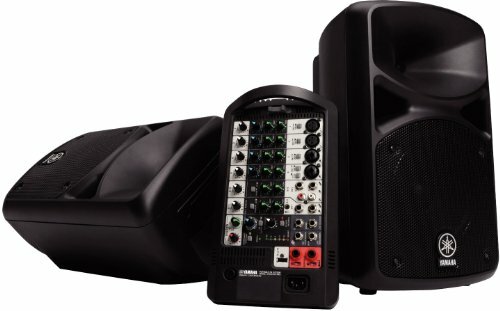 Clarification on how to wire your stage monitors from a live/studio mixer. We have stage monitors and studio monitors. Which outputs do we use? 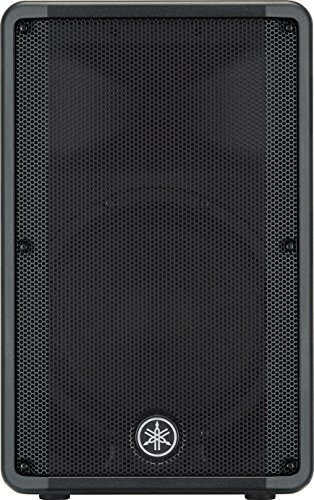 Compare prices on Yamaha Pa Monitor at ShoppinGent.com – use promo codes and coupons for best offers and deals. Start smart buying with ShoppinGent.com right now and choose your golden price on every purchase.